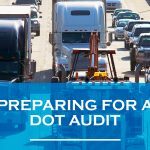 The trucking industry takes time and effort to break into, especially considering the Department of Transportation (DOT) and Federal Motor Carrier Safety Administration (FMCSA) regulations you must follow. Filing the correct paperwork and remembering to renew it can turn into a source of stress for owners and supervisors. If you’re looking for a better way to stay compliant and file all the correct forms, US Compliance Services can help take the burden off. We provide full trucking compliance consultation in Georgia with a range of services that cover everything you need to avoid fines and maximize productivity. Our consultation services help us understand what you need most to operate effectively, then we offer ongoing monitoring and management to make sure you stay compliant for years to come. Don’t wait to grow your business. Find the time today by utilizing our Georgia trucking compliance assistance services. Your number one priority should be growing your fleet and your company while staying up-to-date on industry trends that could put you above the competition. When compliance takes up much of your time, it’s difficult to get much else done. That’s why we keep up with continually changing compliance standards and file your paperwork for you. DOT and FMCSA compliance should not turn into your full-time job. We can help with our trucking compliance consultation services in Georgia. DOT Consulting Services: The Department of Transportation application and registration process is extensive and often confusing. US Compliance Services can act as your one stop shop for all your DOT needs. We can help you file for a new DOT number, renew your MCS-150 and make sure your registration stickers get displayed on every truck correctly. You no longer have to worry about fines or delays from incorrect paperwork when you use our trucking compliance assistance services. FMCSA Services: The Federal Motor Carrier Safety Administration requires trucking companies using trucks to carry hazardous materials file an MCS-90 to show you have the insurance you need if an accident is your fault. In addition to the MCS-90, companies must file a BOC-3 process agent and renew their MCS-150. At US Compliance Services, we file these documents for you and keep track of when you need to update them. DOT Driver Qualification Management: Another critical area of compliance is DOT driver qualification. You must document every aspect of a driver’s qualifications, including their applications, medical examinations, road test, physicals, drug and alcohol tests and more. To stay compliant, you also need to be able to show the documents at any time. We can handle all of this for you by monitoring and managing all the forms and paperwork. Learn more by downloading our Driver Qualification File. IFTA Assistance: The International Fuel Tax Agreement is an agreement between 48 states where motor carriers must submit fuel taxes. Companies who meet certain stipulations must file IFTA forms and pay quarterly taxes based on their fuel records. US Compliance Services helps you understand the complexities of these guidelines and then prepares accurate IFTA forms that we always file on time. ELD and ELOG Compliance: New technology means the ELD mandate is new for many fleet managers. Every ELOG needs to be accurate and organized to monitor your drivers’ time and efficiency. Our Georgia trucking compliance assistance services help you use ELOGs to keep track of your fleet. We make sure every file gets organized in case of an audit, and we can even help you get started with a new system. More Time: What would you do if you weren’t constantly worrying about compliance? When you work with US Compliance Services, we help by filing forms you need and giving you valuable time to work on building your company and your fleet. Improved Accuracy: Filling out forms incorrectly takes up more time and can lead to fines. We make sure every form gets filled out accurately and submitted on time. After getting you all set-up, we provide ongoing management services to let you know when your paperwork or registration will expire. Greater Transparency: When you know you’re staying compliant, it gives you greater peace of mind and more transparency. We make sure every file is organized correctly and can set you up with a system that makes it easier to find the records you need quickly. 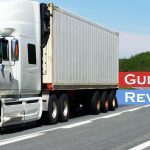 Look to US Compliance Services for trucking compliance consultation services in Georgia. Our wide range of services can help you with your DOT registration or with driver qualification management. Our team is full of experts with extensive knowledge of all trucking industry regulations and local laws. Our goal is to help you maximize your time and stay transparent with both customers and employees. Start the journey to compliance today by working with US Compliance Services. We’re here for new and established businesses who want to grow their companies while finding a way to stay compliant. Call us to learn more about our trucking compliance consultation services in Georgia or contact us online to get a free consultation today.